I’m getting in early with possibly the first guide to AWS re:Invent 2017, written just a few of days after the end of re:Invent 2016. This article is based on my experiences from attending re:Invent in 2016 and 2015, traveling from Australia. I have some general tips on visiting the US, and I’m also a keen (but slow) triathlete so I’ll add some information on swim/bike/run opportunities too. I hope this will ease your way to re:Invent 2017. All prices are in US dollars. 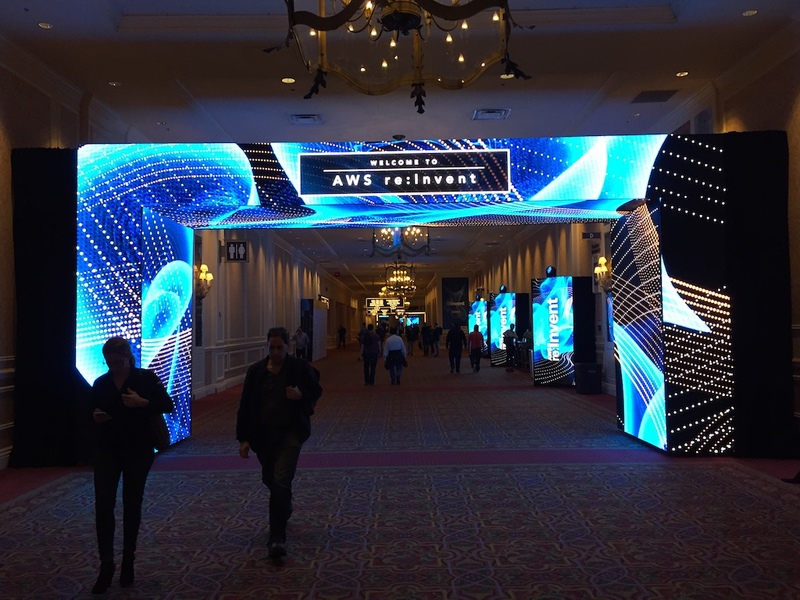 re:Invent is an annual conference run by Amazon Web Services (AWS). For the last four years it has taken place in the Sands Conference Centre which is part of the Venetian complex in Las Vegas. The main conference runs from Wednesday morning to Friday lunchtime, with an AWS Partner day on Tuesday (entry limited to partners only) and an executive/architects invitation-only pre-conference day on Monday. re:Invent usually runs in the last week of November (with the exception of 2015 when it was in early October). The dates for 2017 are November 27 to December 1, 2017. The location has not been announced yet but is likely to be Las Vegas again. Yes, I would thoroughly recommend it. re:Invent is the biggest gathering of like minded people, loosely AWS related, you will find. Developers, sysadmin, architects, salespeople, CxOs - they all go. You can meet up with people who share your love of Serverless architectures, MySQL, security, Windows, enterprise migrations… the whole lot. Sessions range from 101 level ‘why you should pick AWS’ or ‘what is service X?’ through to 4xx session deep dives that assume in depth knowledge of a product or area of technology. Outside of sessions there is a huge vendor hall full of people willing to trade their t-shirts for your email address so they can send you details of their products. It is a great way to get demos of products that you are interested in, but without the dedicated sales call or having to invest time in your own trials. (b) in reality - you won’t get time. Think of re:Invent as like an intensive 2.5 day training course - sure you can do training in work time or at weekends but other work gets priority, you are on call, the children need attention, the dog needs walking… an intensive and concentrated course is often much more effective. The same applies here - treat it as an intensive training course (and the costs are about the same as a good three day instructor-led course). The opportunities for networking are almost endless and it’s a great chance to meet up with people that you know online through Twitter, LinkedIn etc. Start working on it now. Work for yourself? Start budgeting. Ensure you know the dates and book them out in your calendar so you don’t accidentally book client work for the same time. Work for someone else? Find out your expenses policy, training policy, travel policy. Some companies may see this as a training expense, others purely as travel. The first year I went I wrote a short justification on why it was worth going compared to the local AWS Summits. The second time I applied I found our travel policies had tightened up so I wrote a more detailed justification including an expected return on investment. I could point to specific examples of where going the previous year saved my company money (we could focus resources in areas where AWS was releasing products and not invest them where AWS services were not scheduled to be live in our region). Think of how attending will add value to your company. Work out a budget. Remember you can be economical - you don’t have to eat breakfast, lunch and dinner in a restaurant every day. Flights: this depends on your location, look at pricing now to get an indicative amount and set up alerts for that route so you get news about price cuts. AWS has deals with airlines for US travel but I’ve not been able to use them so don’t know if they are good value. In 2016 my flight from Sydney to Vegas via LA was about AU$1600 when I booked in July but flights for less than that were available in May (I didn’t get my approval done in time). Accommodation: AWS has deals with the major hotels in Vegas (Venetian, Mirage, TI etc). Book through the AWS site. Remember Vegas is huge. The conference is held in the Venetian so if you want to be as close as possible and don’t mind never seeing daylight you can stay there. 2016 costs were $199/night for the conference nights. In 2015 I stayed in the Mirage which is a 15 minute walk to the Venetian and was fine, $119/night. In 2016 I was late in booking and the Mirage and Venetian had sold out so I ended up in Treasure Island. It was a little older/shabbier than the Mirage & Venetian but was perfectly acceptable and clean, and it is closer to the conference centre than the Mirage. $119/night. After that you are looking at places further away such as Harrahs or Rio (which is a long long way away - not walkable easily). I don’t personally have any experience with those. If you are traveling far to get to Vegas I would recommend arriving early so you have some recovery time. I have sessions on the Monday so I plan to arrive in Vegas (from Australia) on the previous Saturday so I have a couple of days to catch up on sleep and acclimatise. I also prefer to stay until Sunday so I have some decompression time - the week is an intense, exhausting experience. You will need to factor those extra days into your budget. Food: There is breakfast and lunch provided on conference days, for free. Outside of that there’s everything from cheap pizza and burgers up to fine dining. Something for all budgets. Check what your expenses policy allows per day for meals. 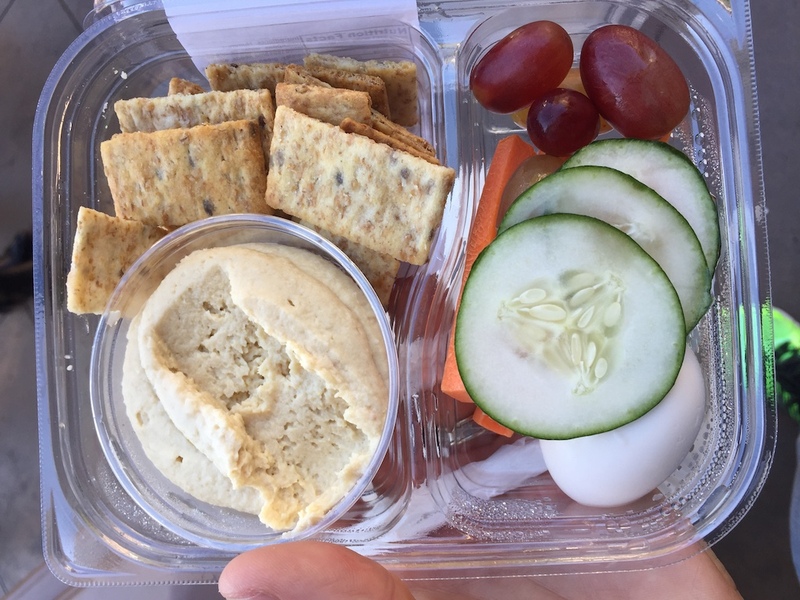 More information on food options below. Everything is much further apart than you think. It can take 10 - 15 minutes to walk a block. If you have a session in the Venetian and then the Mirage, be sure to factor in the walking time. The hotels are so tall that you lose your sense of distance and perspective, and a walk that looks like 10 minutes on a map will take you 40 minutes or more. If you like to walk, going south is fine (Venetian to Mandalay), going north it does get more sketchy as you get towards downtown Las Vegas - in fact it’s not that far past the Encore that it gets dodgy. I’m a big, tall guy and I turned around when walking that way after dark and speaking to others I wasn’t the only one. In short, going downtown? Get a ride. The bus up and down the Strip (the main street in Vegas) costs $8 for a ticket valid for 24 hours and goes north and south (e.g. to the outlet malls). Tickets to go east/west are cheaper, about $5. Tickets can be bought on board for cash or, easier, from a ticket machine on the strip, using cash or credit cards. You can meet some fun characters on the bus and it’s slower and often more scenic. Ideally, enable roaming on your current phone plan, assuming it is cost effective and/or your company allows it. If not, get a T-Mobile SIM at the airport. T-Mobile (in 2015 and 2016) offered an unlimited data (shaped after, I think, 5GB at 4G/LTE speed), 100 minutes and 1000 texts plan - online only - for $30. In 2015 you could get buy the SIM from Walgreens in Las Vegas but in 2016 there were none to be found and T-Mobile shops refused to sell a SIM without a monthly plan. I ended up getting an AT&T SIM which cost $55 and data speed was not as good as T-Mobile. While all hotels have free wifi for guests, and AWS supply good free wifi in the venues, having your own voice/data is great when calling taxis or booking Uber pickups, using maps outside of wifi range, etc. AWS supply free breakfast and lunch on conference days. It is of good quality, not amazing but good. In 2016 lunch was a choice of sea bass or short beef ribs, salads, vegetables, small cakes for deserts. Soda/coffee. Iced water is everywhere in the conference centre (the Venetian at least) and brewed coffee is available in the certification lounge for those who are AWS certified. There are two coffee/snack shops in the Venetian, one on the way in to Sands on L2, the other on L1. Coming from Australia, I found the coffee in Vegas was generally awful and I had to specify whole milk (default is semi-skim) and an extra shot, and it was still weak and tasteless. I know of one AU based attendee who brought his own ground coffee and Aeropress (Hi Jon !) However they do have Starbucks who still sell the Egg Nog Latte at Christmas which I am pretty keen on. There is free food and alcohol at the events on Wednesday and Thursday evenings. In 2015 when the conference was in October it was hot - 30 degrees C (90-ish F). In late November it was 3 - 20 degrees (10 - 70F). Las Vegas is built in a desert so as soon as the sun goes down it gets cold. It is also dry - drink plenty of water and be sure to use lip salve. You may not think you need it, I think the same each year, but by Thursday your lips will be flaking dry. Keep them moist from the start. If you are asthmatic be sure to bring all your inhalers as the dry desert air is likely to aggravate the condition. In person: There are outlet malls north and south, shops in Caesar’s Palace, and there is the Fashion Show mall opposite the Venetian. Remember that 8% sales tax is NOT included in the displayed price. Online: most places will deliver packages to your hotel - check if the hotel wants you to use a special name (it may need to include your stay dates). Hotels charge a package handling fee which varies based on the package weight. Treasure Island charged $7 per package for packages up to running shoe weight. In 2016 I did a fair amount of shopping from Amazon.com a couple of days before I arrived. Look at items such as clothing and running shoes - these are much cheaper in the US. Electronics less so but the range is better - I picked up an Amazon Fire TV which is not available in Australia. Remember you need to add in 8% sales tax. I’m a keen triathlete, enthusiastic but not fast, and I like to balance the excesses of Vegas with some training. Swim: the Municipal Pool. 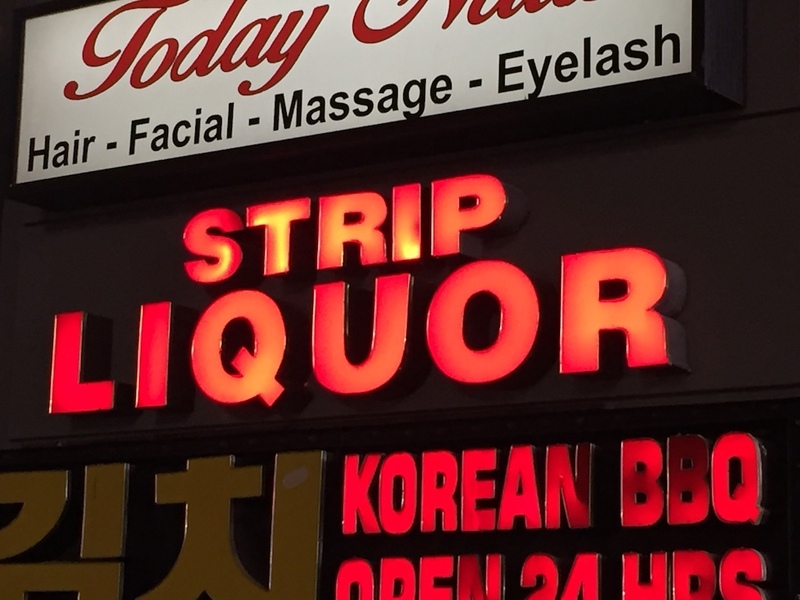 I’ve not been but have heard that it’s $3 and open until about 9pm. It is a 25m pool. Check their web site for the latest information. Bike: ah here we go. I’ve made it my re:Invent tradition to stay until the Sunday after the conference and go for a bike ride on the Saturday. I rent a road bike in advance from McGhies on S Fort Apache Road and I bring my own bike gear, including my clipless pedals and shoes. 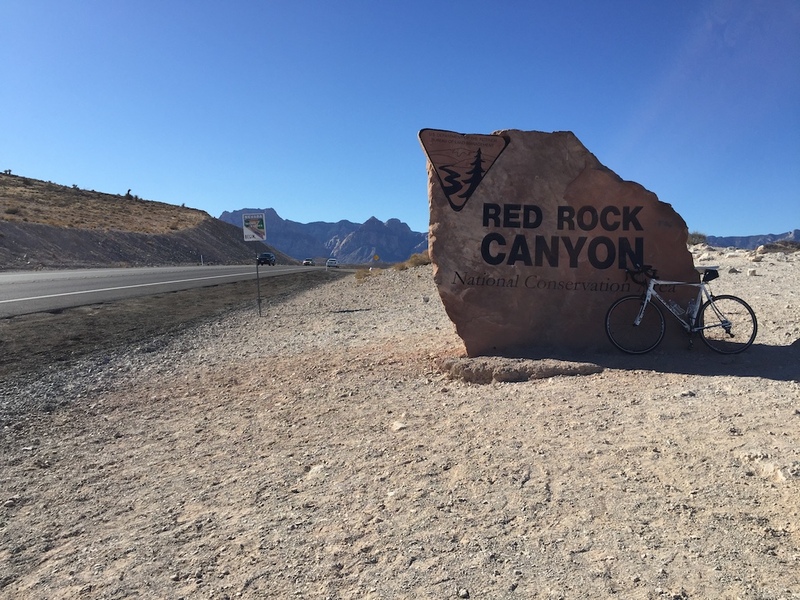 I pick it up about 11am/12pm, ride out to Red Rock Canyon and either do the loop there and straight back (2015 Strava file) or add a bit on to the end (2016 Strava file). This is one of my highlights of the trip and gets me back at my hotel for 4 - 5pm, time to rest, freshen up and go out for the night. Remember to bring enough water - I need about 3L for the 2.5/3hr ride. The ride is steadily uphill for the first hour, and remember Las Vegas is in the desert. There is a visitor block at the start of Red Rock park where you can refill bottles, but you do not go past it on the way back if you do the full loop. Remember to take some food too - Walgreens and CVS stock Clif bars and trail mix. I bring a light backpack to carry all this in on the ride, along with a bigger bag that I can leave at McGhies with my street clothes in it. Run: running along the Strip itself is a frustrating experience - it is not built for people moving fast. Lots of people, lots of bridges over roads, lots of places where you end up having to go through a casino. I recommend going a block east or west onto one of the parallel routes - Koval Lane or Frank Sinatra Drive. In 2016 AWS organized a 5k run with about 600 people of all abilities having a great time. Remember to think about sun protection. What are reasons to NOT go? If you are very uncomfortable with crowds, consider how you will manage them. re:Invent 2016 attracted about 32,000 participants and while the conference ‘campus’ was spread over three venues, the bulk of the sessions were in the Venetian/Sands area. Attendance is growing every year so you can expect close to 40,000 people in 2017. If you have addiction issues, consider how you will manage those, in particular if you have issues with gabling or alcohol. 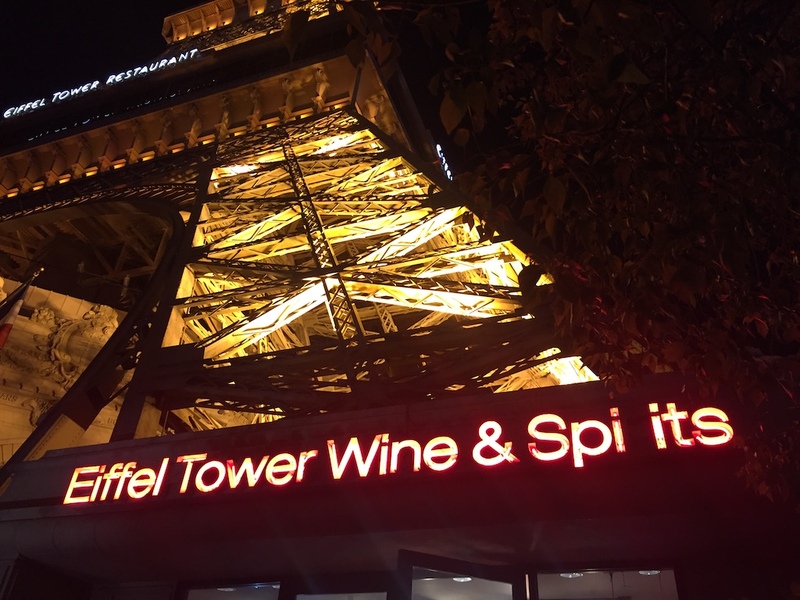 The location for 2017 is likely to be Las Vegas again - there are few places with the space for conferences and with the large hotels to handle the volume of people attending. Las Vegas is a city built on getting you to gamble, starting right at the airport with video poker machines in the arrival hall. All hotels are attached to casinos, and when walking along the Strip every other shopfront is either a casino or a bar. Many official AWS events provide free alcohol and food (Vendor Hall Reception, Pub Crawl, Certification Reception, re:Play party, etc). I’m sure other (less legal) addiction triggers are available too. AWS re:Invent is a fantastic event, easily the best single vendor event I have been to. I hope this post helps you to get there in 2017, and I hope to see you there!